Remember (probably not) the 560SL from my Chicago trip? 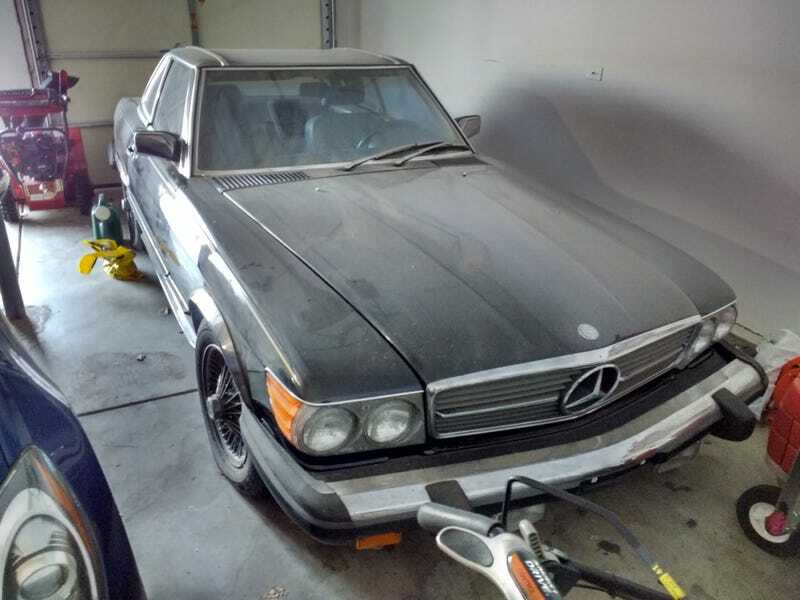 Here’s a quick refresh: I was staying at a family friend’s house for my trip and they had this non running 560SL in their garage. Guess what? My uncle bought it. Yes, the same crazy uncle who had a Diablo SV and is trying to LS swap a 1986 300ZX. He bought it for $1000 and for now he just changed the battery and wiped it down to remove all the dust. Here’s a picture of it now, cleaner and in his garage. More updates on his restoration project coming soon.